When you arrive for check-in, please allow for enough time to chat with us about your pet as we want to make sure their needs are best met while they are staying with us. 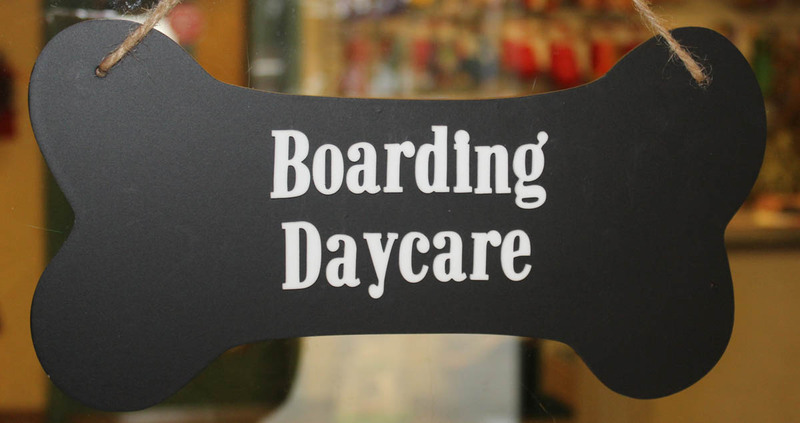 We will ask you questions about your pet’s behavior so that we may evaluate how best to handle them while boarding. For example, some pets prefer women, some pets are “escape artists”, some dogs are not fond of other dogs, etc. In very rare cases, some pets are just not well suited to board here if they are a risk to themselves or to our staff members. We will be sure to have an open and honest dialog with any owners whose pets may fall in this category. If you will be picking your pet up during our special pick-up times, pre-payment of your pet’s stay will be required. If your pet is joining us for an extended stay, a deposit is required and will be discussed in further detail when the reservation is established. Even when you are leaving for the most fun-filled vacation, leaving your pets behind can be difficult. Where do you turn when you cannot take them with you? BBVA offers both Canine and Feline boarding and can accommodate most small exotic pets such as guinea pigs, rabbits and birds. Not sure if your unusual pet can stay with us, give us a call! Is your pet on a special diet, or have a stomach that is easily upset? If so, it may be best to bring your pet’s own food with you. We will work with you to make sure that your pet’s special diet and medication schedules are accommodated. Canine Requirements: Rabies, Distemper, Bordetella (kennel cough), and yearly negative heartworm disease test. We also expect that your pet is protected from fleas and ticks, so please let us know which products you use. If your pet is found to have fleas once here, we will treat your pet so that we reduce the exposure to our other boarders. (Sorry, yes, we will have to charge you for this.) If we have concerns when your pet arrives that it appears to be ill or injured, we may need to verify with a doctor that your pet may be allowed to board with us. Feline Requirements: Rabies and Distemper. We also expect that your pet is protected from fleas and ticks, so please let us know which products you use. If your pet is found to have fleas once here, we will treat your pet so that we reduce the exposure to our other boarders. (Sorry, yes, we will have to charge you for this.) If we have concerns when your pet arrives that it appears to be ill or injured, we may need to verify with a doctor that your pet may be allowed to board with us. To protect both your pet and the other pets staying with us, your pet must be fully vaccinated prior to their stay with us. If you need an appointment with one of our veterinarians, we can schedule that for you. If your regular veterinarian has already given your pet their vaccines, please have verification emailed to us: petvet@bbvet.com or faxed to 207-729-9364. Please note: that as with all vaccines manufacturers cannot guarantee 100% effectiveness. Dogs are hand walked by our kennel team to our spacious outdoor secure runs for fresh air, play and bathroom breaks several times a day. Ask about our multi-pet family discount and our discount on extended stays which last more than fourteen days.